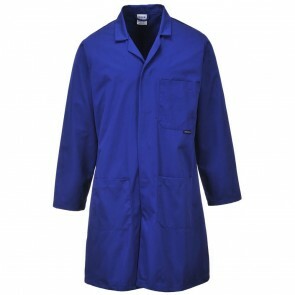 Warehouse coats in a range of colours. Options include coats without external pockets which are ideal for use in food production areas. 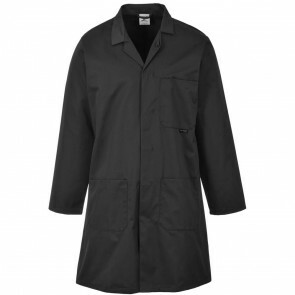 Our warehouse coats are made from 245g polyester cotton with a rear vent and fasten using concealed press studs. 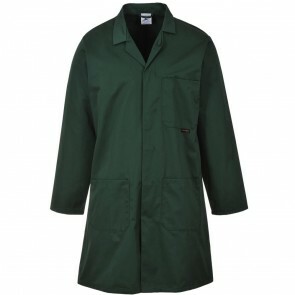 We offer 2 basic styles of warehouse coat. 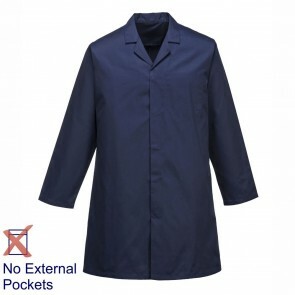 The standard coats incorporate three patch pockets (two hip pockets and a breast pocket with pen slot). 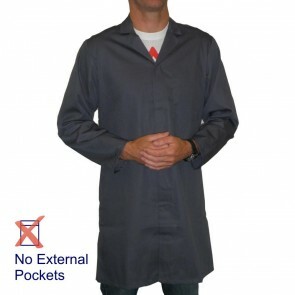 They are suitable for both mean and women. 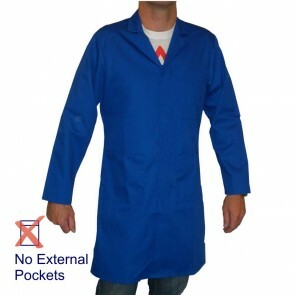 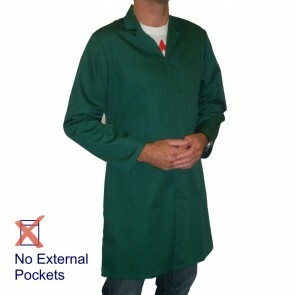 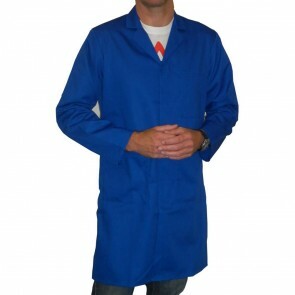 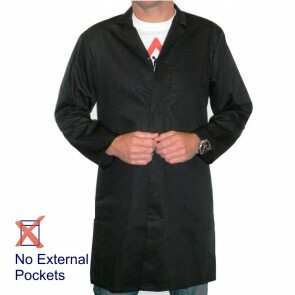 We also supply warehouse coats without external pockets. 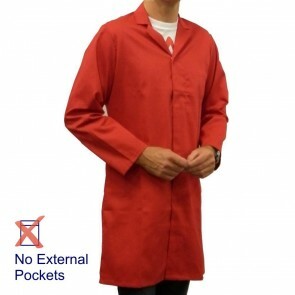 These are designed particularly for use in food production and other high risk areas to prevent employees carrying items into the area which may contaminate product. 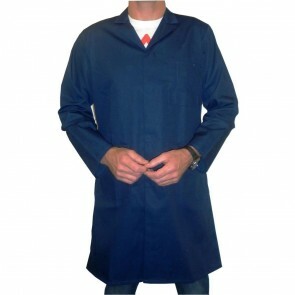 A coloured hygiene coat is ideal for both clean and dirty areas protecting both clothing and product from contamination. 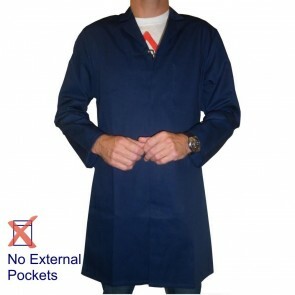 Available in a wide range of sizes from stock, we are also able to supply custom versions of the warehouse coat produced in a UK factory. 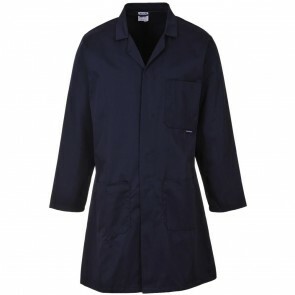 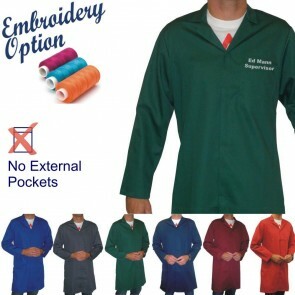 Lead time for bespoke hygiene coats is around 4 to 6 weeks. 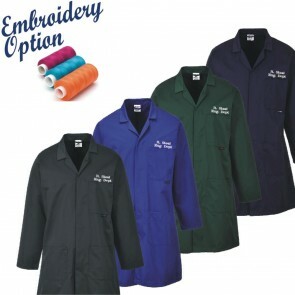 We are also able to offer a comprehensive embroidery service ranging from simple text to company logos. 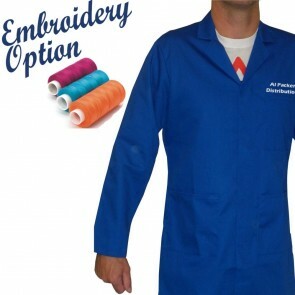 As there is no minimum order we are able to embroider individual staff names if required. 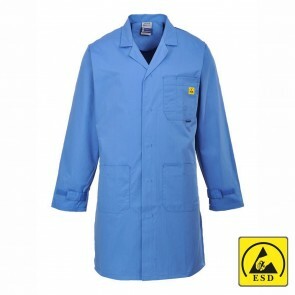 Please do not hesitate to contact us if you would like further details.